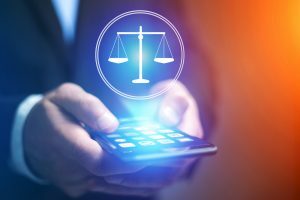 With the dawn of the social media age came a burgeoning new field of law. Social media discovery has spawned a rash of appellate decisions covering everything from the discoverability of Facebook posts to the legal significance of emojis. But what happens when a Facebook post could be evidence of a crime? Does that post get Fifth Amendment protection against self-incrimination? The above question was posed to Florida’s Fourth District of Appeal in Wright v. Morsaw, a wrongful death civil case. In Wright, it was alleged that the Defendant was intoxicated when he left a Delray Beach bar. The Defendant was accused of a hit-and-run crash that killed a pedestrian. After the fatal crash, the Defendant allegedly fled to a friend’s home where he posted about the incident on social media. In the case of Walerowicz v. Armand-Hosang, the Fourth District Court of Appeal clarified its perspective on two points: 1) what is considered sufficient evidence to prove past medical expenses and 2) how to deal with admission of expert testimony that does not conform to the court’s trial order. In this case, the plaintiff, Mandy Armand-Hosang, sued for permanent bodily injuries she sustained in a car accident. 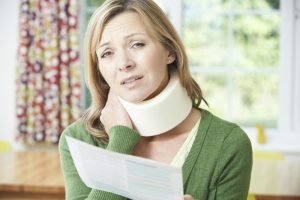 As in most every auto accident case in Florida, Ms. Armand-Hosang, as the plaintiff, had to prove the causation and permanency of the her injuries and reasonableness and necessity of her medical bills. The Fourth District Court of Appeal sided with the plaintiff on both issues, holding that the trial court did not abuse its discretion by allowing the plaintiff’s surgeon to testify regarding the causation and permanency of the plaintiff’s injuries, and the plaintiff had met the evidentiary burden to prove the reasonableness and necessity of her past medical expenses. In many states, all that is required to establish reasonableness and necessity of past medical bills is merely entering the medical bills into evidence. Florida, on the other hand, requires a little more effort—but to what extent? In Walerowicz, to prove reasonableness and necessity, the plaintiff’s attorney relied on the plaintiff’s testimony about her treatment for her accident-related injuries, the treating surgeon’s testimony, and also offered the medical bills into evidence. The defendant argued that the testimony was insufficient to establish reasonableness and necessity because the plaintiff did not associate each specific bill to the injuries sustained in the accident.